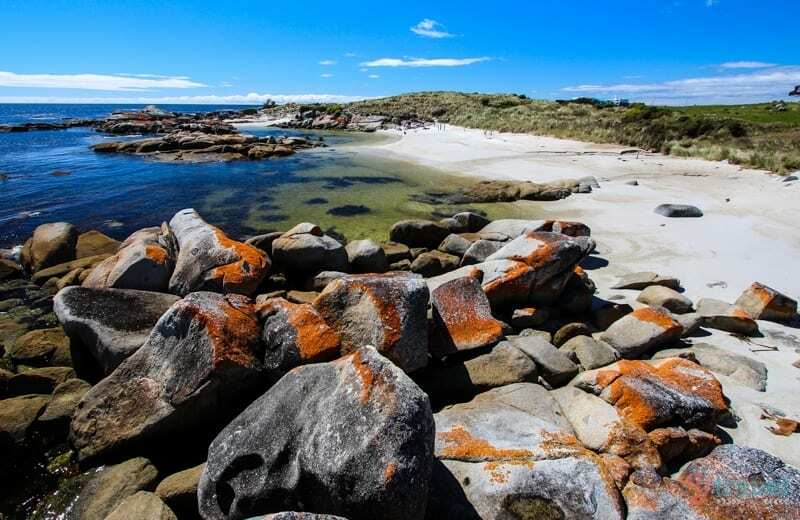 The Bay of Fires needs few words. 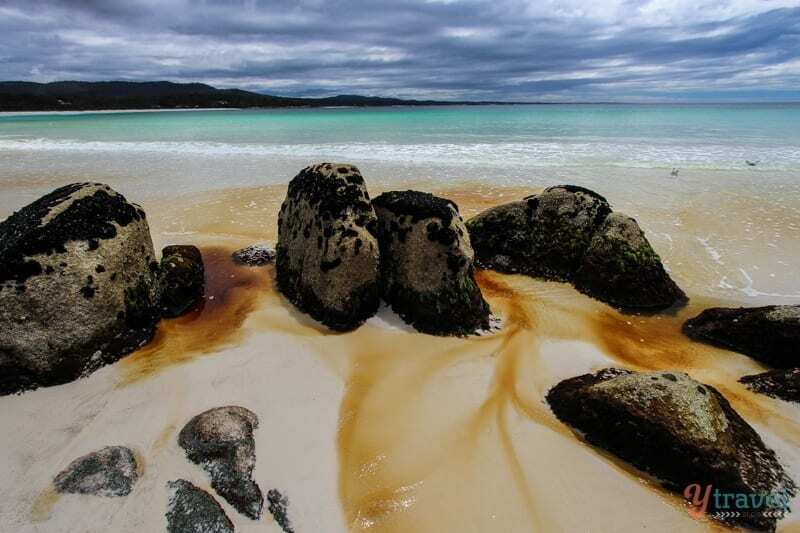 There are some places where it’s best to just let the photos do the talking. This is one such place. 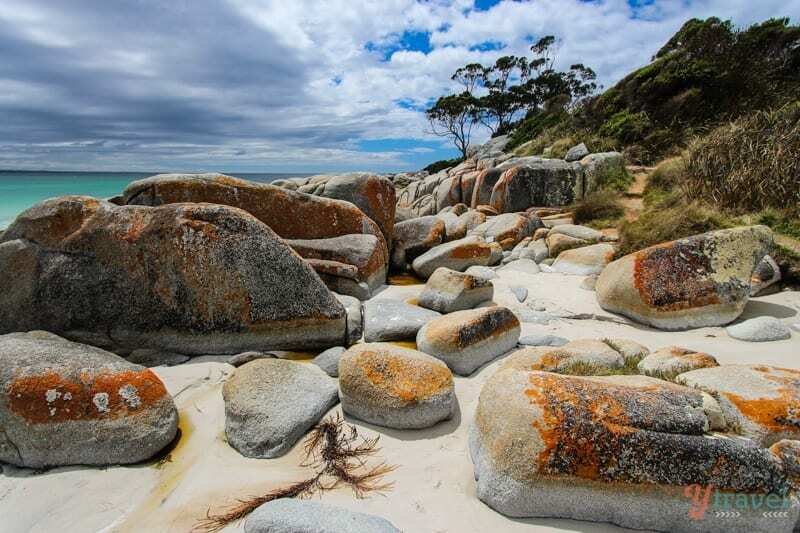 Situated on the north east coast of Tasmania, the Bay of Fires is a region of white beaches, blue water and these incredible rock formations (orange-hued granite) in which the colour is produced by a lichen. 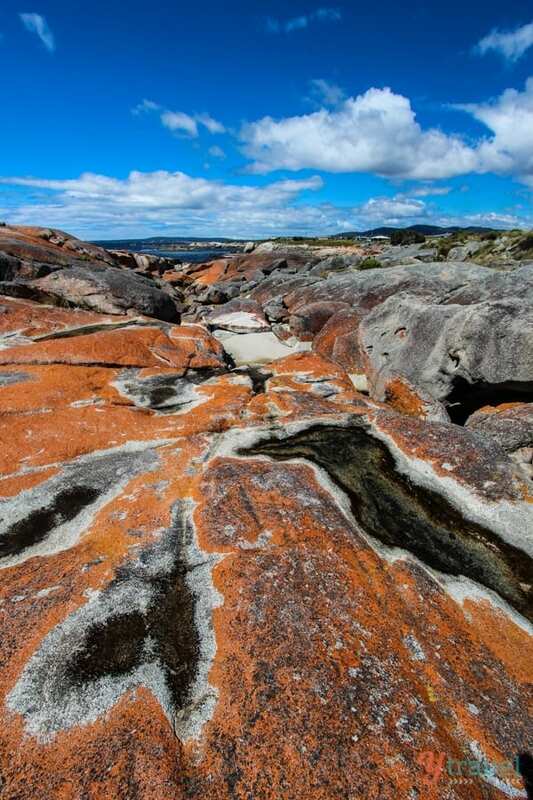 We spent the morning there climbing over the rocks, wandering the beaches and being mesmerized by the colours. 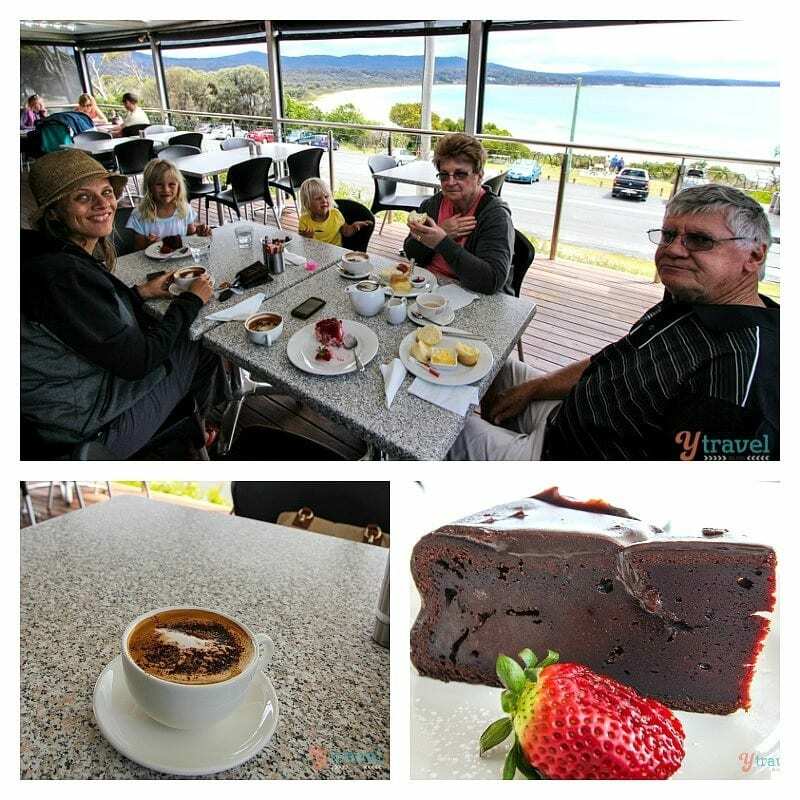 HOT TIP – Finish your visit at the Binalong Bay Cafe for good hot coffee, yummy cakes and fantastic views over Binalong Bay! Pretty fabulous photos! 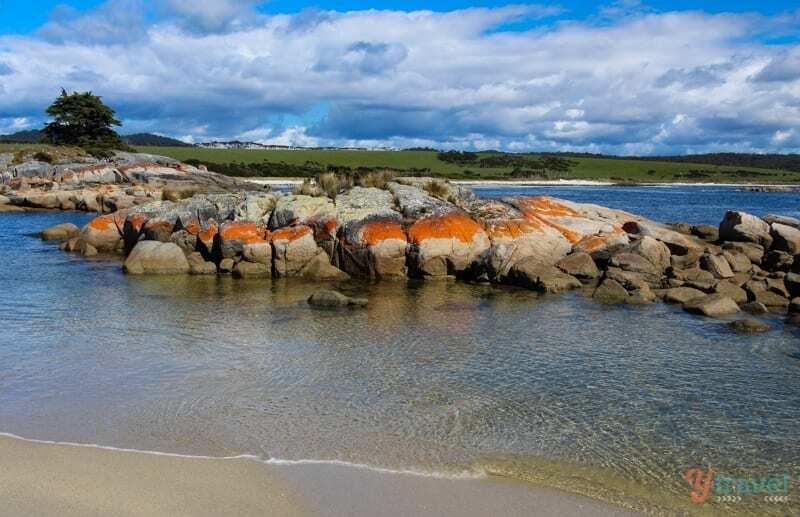 I’ve been wanting to go to Tasmania since reading this great magazine article years ago describing all the delicious food there (isn’t it funny how you never forget a great article). Now your photos have sealed the deal! Thrilled to see your photos as will be there in January! If it’s a sunny day go as early as you can Seana so the light is not too harsh for photos (or late afternoon). We got there mid morning, which was ok, but earlier the better. 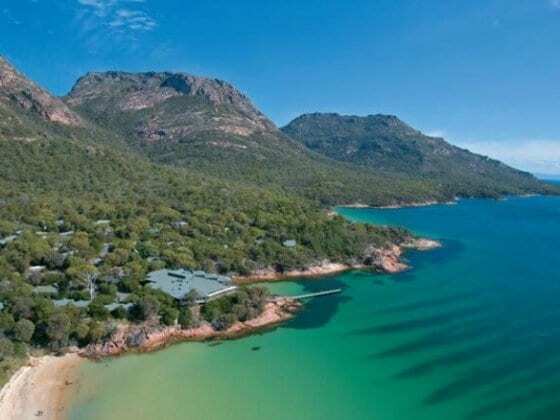 Then hit the Binalong Bay cafe!! 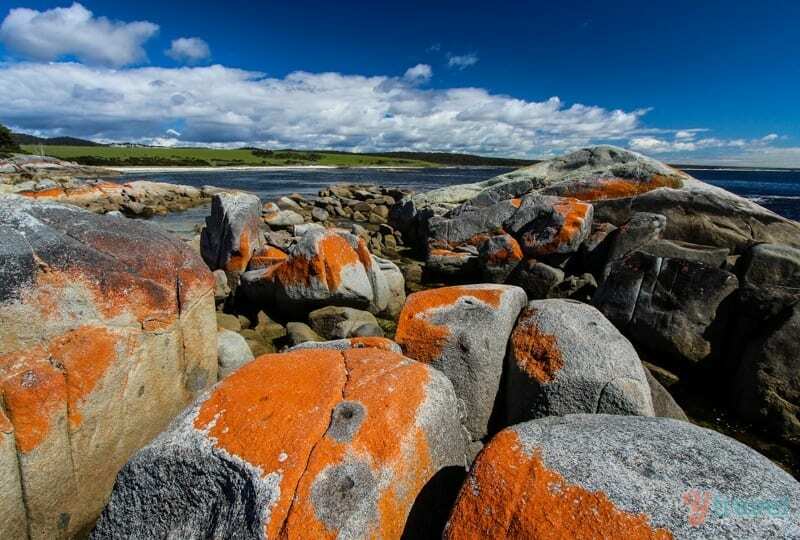 Those colorful rocks are beautiful! The place is stunning Sally, making it easy to take nice photos! Your photos are stunning! 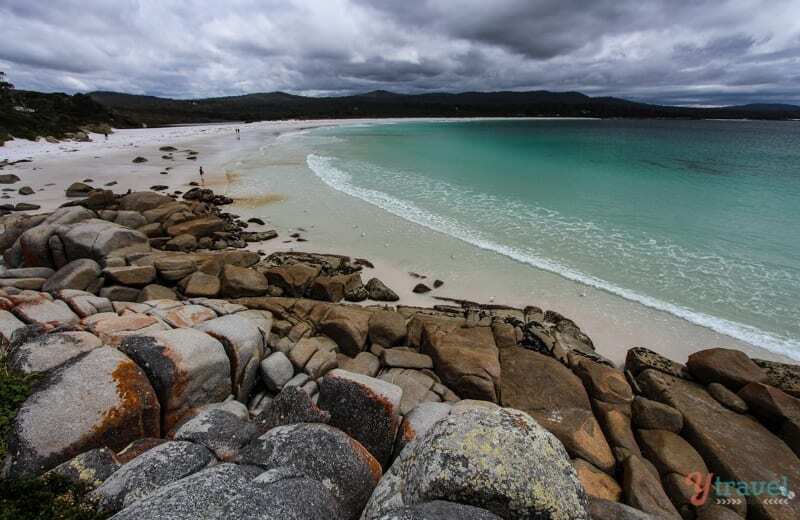 We will be visiting the Bay of Fires next Monday – can’t wait to try the Binalong Bay Cafe! 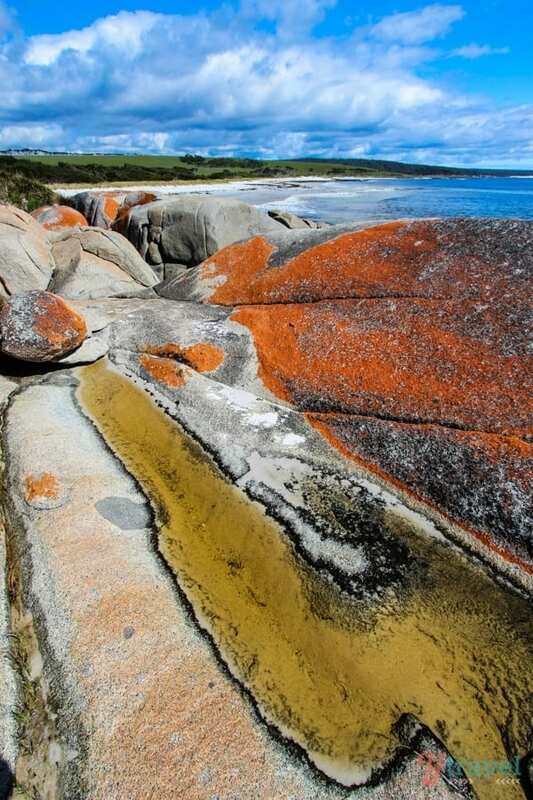 The Bay of Fires is one of my favourite places, every photo is a winner. Can’t wait to visit again when we head off on our own 12 month trip around Australia. Very much looking forward to following your trip as we will also be travelling with our son, his wife and their two small children so your tips will be very welcome. Happy travels. Cheers Deb. 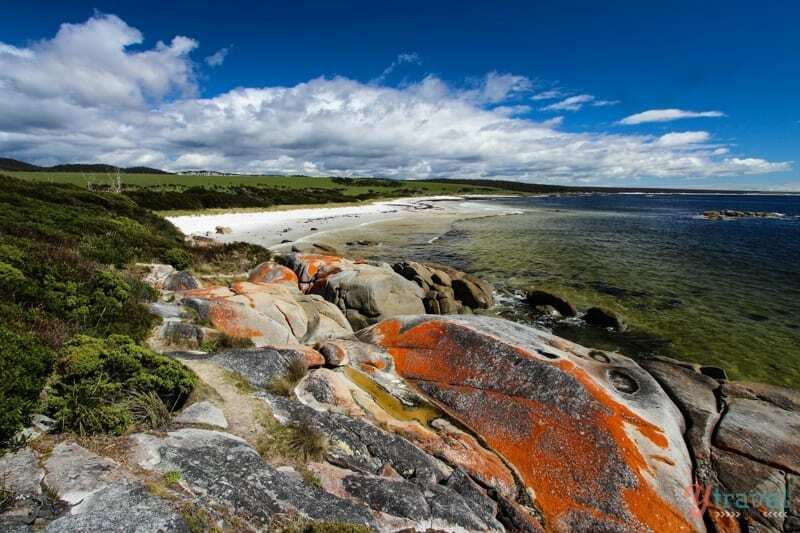 Great to hear Tassie will be a part of your own big Aussie trip. These photos are just incredible! I love the bold colors on the rocks! I’ll have to show these photos to my daughter – she collects rocks, and while these wouldn’t be coming home from the beach in her pocket, I think she’d still love to see them! Thanks. Our kids loved climbing all over them. Crazy colours huh!! 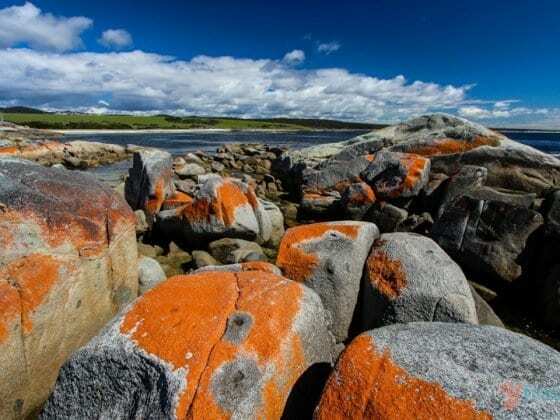 The orange lichen on the rocks and calm water reminds me a lot of the beaches in Geographe Bay in WA. Amazing photos. You are right, just let us “ooh-ahh” at them. 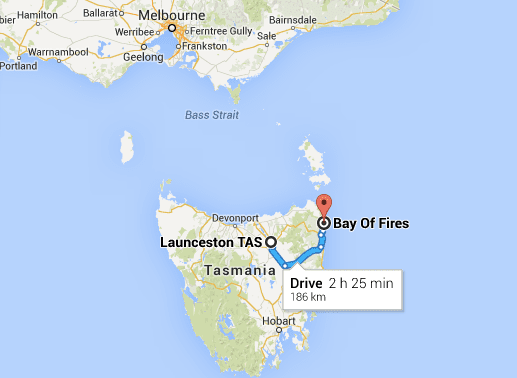 Hoping to get to Tasmania in the future!